Shape recognition is a fundamental problem and a special type of image classification, where each shape is considered as a class. Current approaches to shape recognition mainly focus on designing low-level shape descriptors, and classify them using some machine learning approaches. To achieve effective learning of shape features, it is essential to ensure that a comprehensive set of high quality features can be extracted from the original shape data. Thus, we have been motivated to develop methods of fusion of features and classifiers for advancing the classification performance. 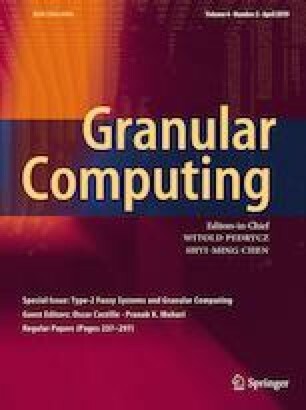 In this paper, we propose a multi-level framework for fusion of features and classifiers in the setting of granular computing. The proposed framework involves creation of diversity among classifiers, through adopting feature selection and fusion to create diverse feature sets and to train diverse classifiers using different learning algorithms. The experimental results show that the proposed multi-level framework can effectively create diversity among classifiers leading to considerable advances in the classification performance. This work was supported by the National Key R&D Program of China (no. 2018YFB1308302), the National Natural Science Foundation of China (61573356) and the Natural Science Foundation of Hebei Province (no. F2016203211).